Miami, FL – For the 6th consecutive year Badia Spices, one of today’s leading family-owned Hispanic food companies, will commemorate Breast Cancer Awareness Month by partnering with National Breast Cancer Foundation, Inc.® (NBCF). Through this philanthropic partnership, Badia Spices hopes to help expand awareness for breast cancer while raising much needed funds to support the Foundation’s mission of Helping Women Now® through early detection, education and support services. NBCF is one of the most trusted breast cancer charities in the nation. 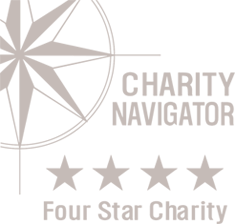 For twelve years, NBCF has received the highest 4-star rating by Charity Navigator, America’s premier charity evaluator. Each year, over 80% of their revenue is directed to their life-saving programs, and NBCF has grown to include partners in all 50 states. In just five years, with the help of its consumers around the world, Badia Spices has raised over $570,000 to benefit NBCF. Badia Spices’ movement to once again support NBCF will begin with National Breast Cancer Awareness Month starting October 1st, 2016 and continue through October 2017. “As a father of three daughters, I am honored to once again partner with National Breast Cancer Foundation to help promote and fund their mission of Helping Women Now® through early detection, education and support services. We are grateful that our consumers support this initiative and hope to make a long-term impact on improving women’s health care through our partnership with NBCF,” said Joseph “Pepe” Badia, President, Badia Spices.